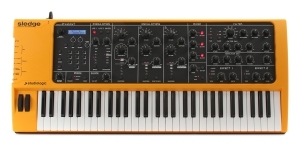 The System-8 synthesizer is a kind of a virtual analog synthesizer that manages user-loaded audio libraries (PLUG-OUT), in addition to those already pre-installed initially. There are 3 instruments based on this technology - System-1 mini synthesizer, System-1m rack module and full-size and full-featured System-8. 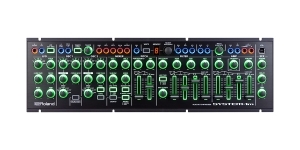 All of them are part of a wider group of instruments ROLAND AIRA. All these devices use the technology of ACB (Analog Circuit Behavior Modeling), which allows to reliably recreate the process and the result of the functioning of the analog synthesizer. As for all the instruments in the series, the classic approach in the interface and familiar analog synth-like control elements - controllers for oscillators, subwoofers and LFOs (here - virtual), envelope generators, effects, mixer, sequencer. All the synthesizers of the series include 2 new types of waveforms - super square and super sine, in addition to the patented super saw. Compared to System-1, the resolution of the adjustment scale of [digital] filters was increased twice - up to 255 values, which allows for more precise adjustment and more "smooth" transitions. Not all professionals appreciated System-1 with its very controversial mini-keyboard and only basic control functions on the front panel and therefore the initial tandem System-1 - System-1m made people to opt for System-1m. However, all the fans of the analog appreciated the ACB concept in combination with PLUG-OUT and the new System-8, which gives what its predecessors lacked, a completely cloudless future, depending only on the scheduled supply of new audio engines by Roland. 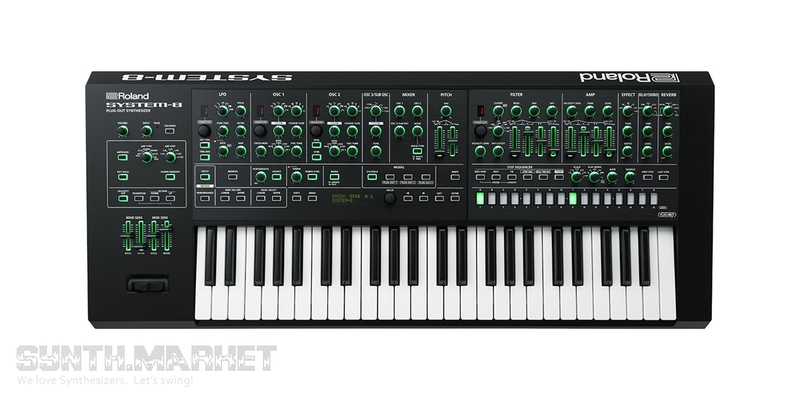 The PLUG-OUT approach means that the lucky owner of one of the series' synthesizers can easily upload new sound libraries (or rather, call them "sound engines") having no problem, in addition to those that are featured in the basic configuration. 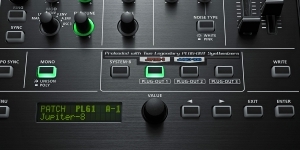 And the basic configuration offers the quality emulation of the king of analog synthesizers - Roland Jupiter-8. 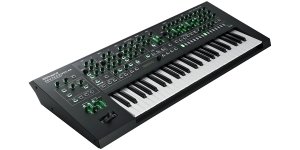 In 2017 System-8 will be shipped with an integrated Roland Juno-106 library, another very popular analog synthesizer of the mid-80's. You can use up to 3 engines in real time, switching them with dedicated buttons, and, unlike System-1, you can now use them in parallel, including when splitting the keyboard into zones! Today you can buy SH-2, SH-101 and PROMARS. Roland promises new sound engines coming soon. 3 configurable inputs for pedal controllers. An SD memory card slot (XC). 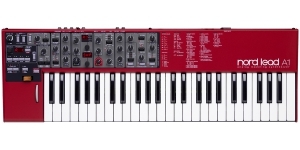 Synthesizer, Virtual Analog (VA), Voices: 24, Multi Timbral Capacity: 2 part(s), Variable Touch Response, Aftertouch, Velocity Sensitivity, Size: 5, Number of Keys: 61, Production start: 2016. The management of the Japanese company has been sticking to the rule of “leaving analog in the past” for a long time. 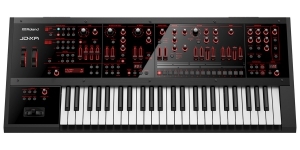 But it’s the market which rules and that’s why we did get JD-XA and JD-Xi from Roland, and now SE-02 analog monophonic synthesizer module created together with the eminent Studio Electronics company is getting its way through. Roland emphasized that this is only the beginning of a new series called Roland Boutique Designer. 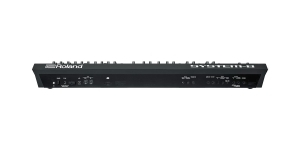 Read more about the Roland’s fight back to Mr. Dave Smith&Pioneer DJ Toraiz AS-1 and eventually Behringer D rackmount synth module. Scott Tibbs, who became a Roland’s sound designer in the 90s, had an up close and personal acquaintance with each and every synth made by the Japanese corporation while consulting the developers. 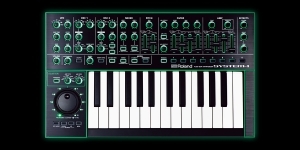 This video features Scott talking about the widest range of possibilities provided by the new AIRA series virtual analog synthesizer – System-8 which besides its own sound set allows “plugging” settings and presets perfectly emulating such iconic synthesizers by Roland released in the 70s-80s as Juno-106, Jupiter-8, SH-2, SH-101, Promars. Roland’s digital stage piano surely hit the first day of NAMM 2017. 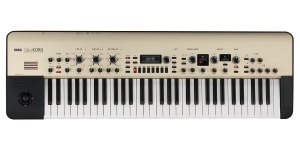 Roland entitled it a “Stage Revolution” and we’ll try to find out whether it’s something new or the modification of something familiar and most important whether there is any point for Kurzweil to panic about its Artis/Forte series.